Happy Memorial Day! I hope that you're all enjoying your day off and having fun with friends and family! Us? We'll be busy building a chicken coup for our new baby chickens! 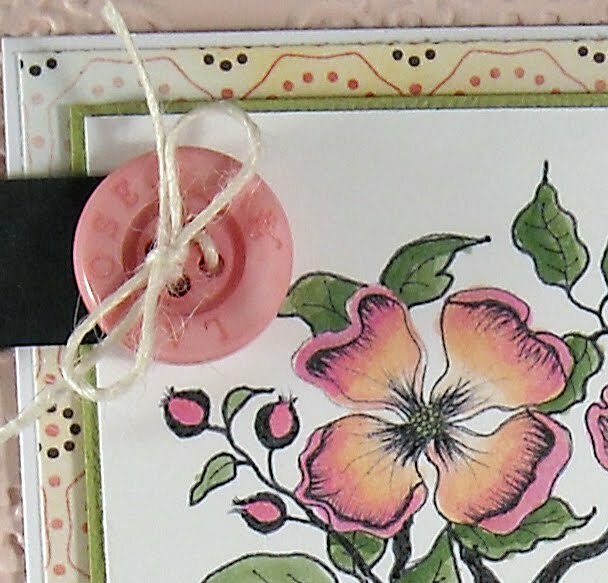 Today's post is a sneak peek of sorts...a clue to one of the cards I'll be posting tomorrow for the big Blog Hop extravaganza! I'll be hosting not one, but two blog hops tomorrow and offering not one but two prizes! 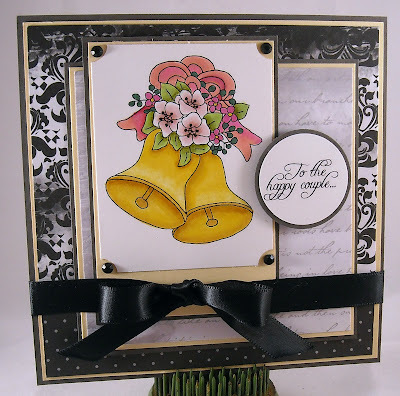 The first blog hop is to debut Sweet 'n Sassy's new acrylic stamp sets!! Can not wait for you to see all of the lovely creations made by the design team with these amazing news sets! Korin has redesigned packaging, added sentiments, and grouped some of her best sellers into one set...It's going to be fabulous! The second blog hop...well...I still have to be a bit secretive about that one but it's going to be just as fabulous! So can you guess who will be debuting on one of my cards tomorrow??? He's small, furry, has big ears, a cute pink nose, and is oh so adorable... Be sure to check back tomorrow...the post will be live by 6am EST!! 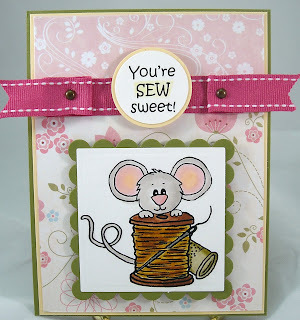 I have a sweet little card to share with you today...(it's really Sat. night but heck, it's almost Sunday!). 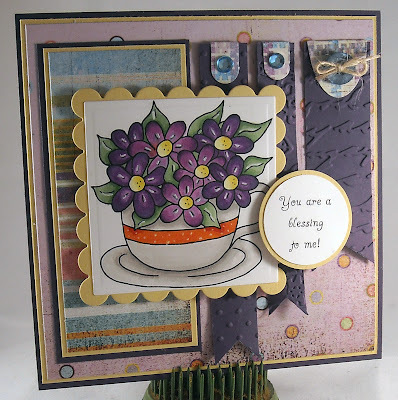 This is a card that I'll be demonstrating at Wholly Scrap in a few weeks. It's another beginner stamping class so we keep things very simple. During the class we're using a new line from Imaginsce, called To Love & Cherish. 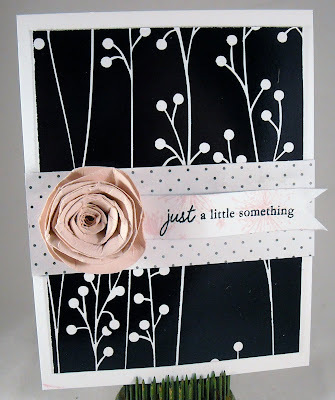 It's a stunning line of all black & white papers and some darling little single stamps. For the cards we'll create during our class, I'm bringing in just a touch of pink. On this card, my pink is in the rolled flower and a decorative floral stamp behind the sentiment, which is from Papertreyink. Super cute and super simple! Enjoy and wishing you all a lovely Memorial Day!! How about a non-sneak peek card today? 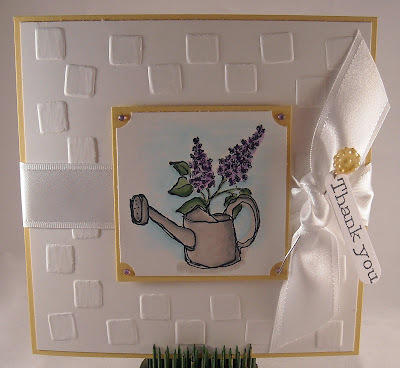 This is a card that I demonstrated at an embossing class last week. While we explored all kinds of heat embossing techniques, I thought I'd also throw in a card that uses the metal plate for a dry embossing look. Remember dragging out your light box and stylus? I had to dig my supplies out of storage! The square design is something I've had for years, a plate from SU! (Wholly Scrap also has a good supply of the plates in house) I used the squares to create a border around my 5x5 card. 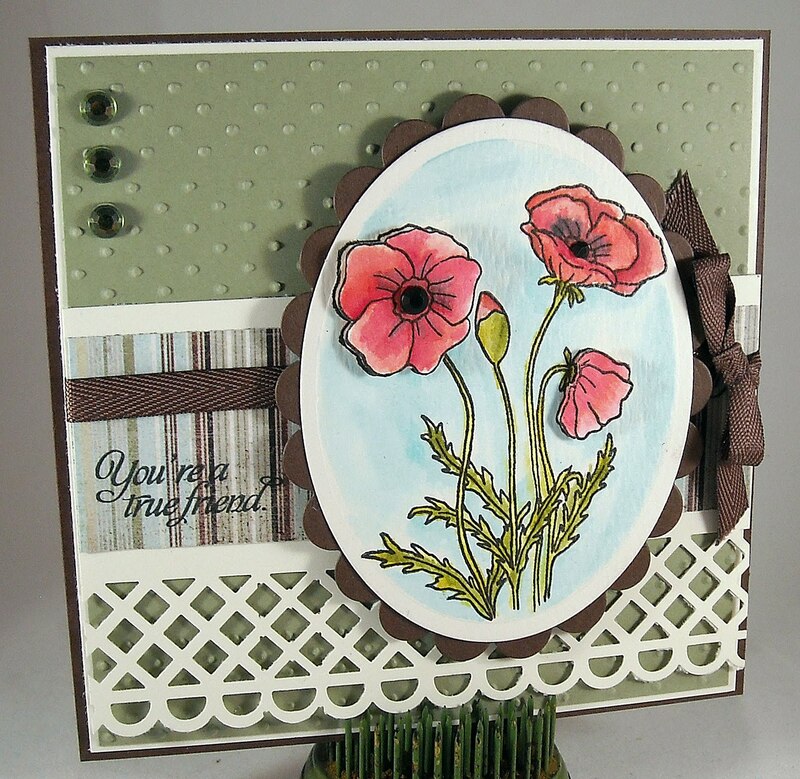 This sweet watering card and floral image is from Our Craft Lounge, a new stamp line that Wholly Scrap is carrying. The name of this set is Growing Gratitude. I colored both images with my trusty Copics. I attached my sentiment with a little hat pin from Little Yellow Bicycle and attached that to this lovely satin ribbon (not sure who the ribbon is from...it's something I picked up at the store...) The tiny rhinestones framing the flowers are from Taylored Expressions. Enjoy and have a lovely weekend!! Be sure to check back in on Sunday for the Keep it Simple Sunday card! PS - I apologize for how dark this card is...not sure what happened there!! It's time for another SALT challenge!! This week it was Hazel's turn and she chose a text from Acts. She provided us with such an excellent write up that I'm simply going to share snippets of what she wrote, along with my own thoughts, and would encourage you to head over to the SALT blog, to not only read her entire write up, but also to see all of the beautiful work the design team has created. The specific verse for today is Acts 1:8:"But you will receive power when the Holy Spirit comes on you; and you will be my witnesses in Jerusalem, and in all Judea and Samaria, and to the ends of the earth." Acts 2 records how the disciples were filled with the Holy Spirit and as a result they were able to speak in languages understood by those around, telling them about Jesus. Peter spoke with such power, saying: "Repent and be baptized, every one of you, in the name of Jesus Christ for the forgiveness of your sins. And you will receive the gift of the Holy Spirit. The promise is for you and your children and for all who are far off — for all whom the Lord our God will call." The Lord called 3,000 people that day... The story in Acts is a powerful one, God gave those men special abilities for a particular time in history. Those gifts and that power were given so that men would know for certain that it had come from God Himself since, for example, none of us today would be able to instantly begin speaking in a different language. While the Holy Spirit no longer works in the exact same way as He did in Acts, that same power is available for us today. The Holy Spirit can give Christians the strength and courage to testify to others of the saving grace of Jesus Christ. More (or just as) importantly though is the power that the Holy Spirit has to transform a life. To transform a person's heart, thoughts, desires, and actions. I read an excellent quote a few months ago from a Christian writer and he said, "If I'm killing myself, I do not need to be rehabilitated. I need to be transformed. I need to be another person. Therapy does not make you another person. Rehabilitation rarely removes bad stuff. Transformation replaces bad stuff with good stuff. That is the difference." Only Christ has the power to truly transform an individual and the Holy Spirit works within the heart, before and after that transformation, to grant us the strength to put away our damaging sins and to sincerely follow Christ in heart and conduct. One last thought...Hazel looked up definitions of the word 'witness' and one of them is: "One who can give a firsthand account of something seen, heard, or experienced." In Acts, the apostles were witnesses to those around them of what actually happened to them and through them. As Christians we have a story to tell - a firsthand account - of our own experience of God's saving grace in our own lives and of the work of the Holy Spirit. My story is simple, "Believe on Lord Jesus Christ and you shall be saved...." Please stop by the SALT blog and if you feel led to create something based on today's challenge, leave us a comment with a link back to your blog or gallery. Thank you for visiting today!! I have some exciting news to share...but this is all I can show you right now...You'll have to check back on June 1 to hear all about it...June 1 is going to be a big day...My 'news' and a Sweet 'n Sassy blog hop! There will be prizes given and cards galore to share!! Don't miss it!! I also want to let you know that I've started a blog for the store that I work at, Wholly Scrap. I've just made a few posts on the blog but one of them is a picture tutorial on the resist embossing technique. You can check it out here. Enjoy! It's day two of the Sweet 'n Sassy sneak peeks and I'm just all oogly about this next set, Everyday Miracles. 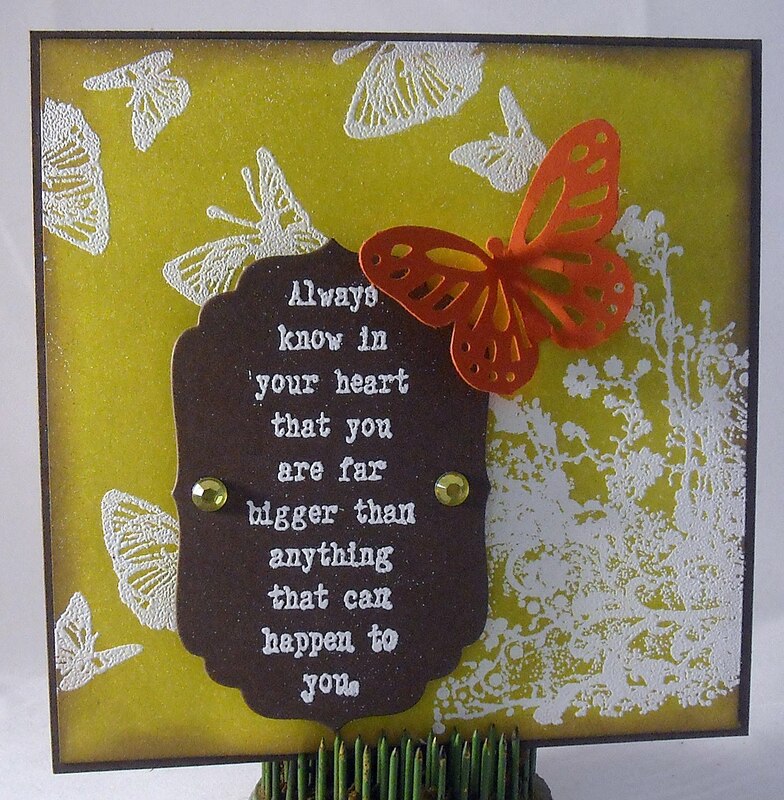 I definitely have a thing for butterflies and Korin outdid herself with the beautiful images and sentiments in this new acrylic set, which contains two stunning butterfly images and a boatload of sentiments. For my card I used a reverse masking technique, using the left over piece of paper that I cut the oval out of for yesterday's card. I taped the oval mask onto cardstock and then used a blending tool to lay down a number of Distress Inks; Scattered Straw, Rusty Hinge, and Barn Door. Then before picking up my homemade stencil, I stamped three butterfly images. Once I removed the mask I added the sentiment. Since this was a good size oval, I kept the rest of my card pretty simple, only adding a few black rhinestones and a simple pattern paper from a new Basic Grey called Max & Whiskers. Enjoy and don't forget to check back tomorrow for more sneak peeks!! Happy Monday friends! I'm hoping that everyone had a lovely weekend! We spent much of the day Saturday running errands (after I taught a class at Wholly Scrap) and yesterday we were at church. Both days we experienced beautiful summer-like weather...love it! Well this week is going to be a busy one... I'm going to have lots of Sweet 'n Sassy sneak peeks this week, leading up to our big blog hop on June 1st, where we'll be showcasing our brand spanking new acrylic stamp sets!! I couldn't be more excited that Korin has decided to jump back in to the stamp pond! I adore the SNSS images and I even love the digi aspect (so easy to store and inexpensive) but there's just something about being able to sit down at my desk and inking up an actual stamp that is oh so satisfying. :-) Today's card showcases one of the things I love about having the stamp set in my hands...putting my sentiment directly onto patterned paper and being able to restamp just a section of an image that I want to cut out and pop up (two of the flowers). This lovely image and sentiment is from the soon to be released Poppies & Sayings set (the poppy image is also available as a digi image). I decided to break out the watercoloring tools last night to color my card. To get ink, I squeezed the lid of my Distress Inks onto the ink pad, which gave me a small pool of color. I then used an aqua brush to pick up the color and apply to my image. I adore watercoloring and had so much fun with this image last night! Two of the flowers have been popped up with foam tape. The dp is from a new Basic Grey line and the jewels are from Little Yellow Bicycle. And how about that fab punch at the bottom of the card? Isn't it divine? 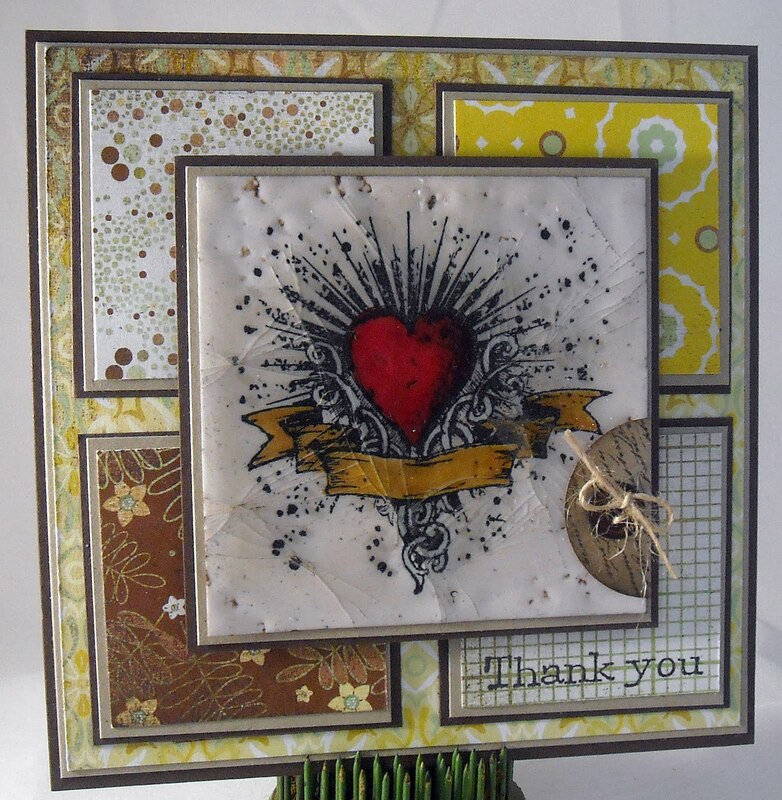 We used this punch at the last Stamping Around event and I purchased it the following week! It's a Martha punch and I love, love, love it! Be sure to check back frequently this week for more sneak peeks and some more exciting news... Enjoy! Thought I'd share a card from a class I taught last week where we explored a number of techniques. This was the cracked glass technique, which uses gobs and gobs (that's a technical term) of ultra-thick embossing powder to not only deliver a serious punch of shine but once chilled (I kid you not, we put the heart in the fridge after embossing it!) and bent, a whole lotta cracks, ala vintage Tim Holtz style. I think Tim would be proud...Oh Tim, are you out there? The heart image is from a Tim Holtz set, Urban Chic, and the sentiment is actually from a OCL set, Growing Gratitude, the paper is from Basic Grey. All supplies purchased at Wholly Scrap! Enjoy and have a wonderful weekend! I'll be teaching three fab Tim-inspired tags at Wholly Scrap tomorrow morning...Can't wait to get inky!! It's Digi Day over on the Sweet 'n Sassy Paper Craft Planet page and today I'm the host!! Today's challenge is "Let's Take it Outside" and you can win free goodies for participating in the challenge so check it out here!! For my nature-inspired (you all know I'm not really much of a nature person, right? 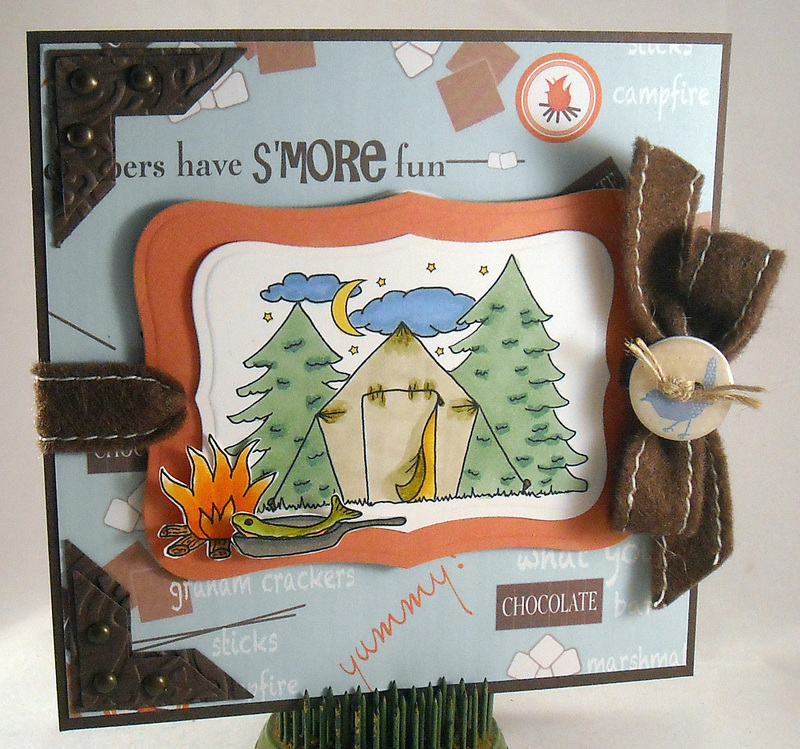 The whole "bears" thing and all...) card I used two SNSS digi images; Campfire Goodies (the fish and the fire are part of this four-image set) and Campsite (the tent and outdoor scene). My images were colored with my trusty Copics and the entire scene has a home atop some fun s'more paper from Wholly Scrap. The ribbon is from SU! and that cute birdy button, it's chipboard, is from Little Yellow Bicycle. Click on over to the SNSS PCP page and join the fun!! Hey I'm fond of short, hairy, and stubby gnomes...I think they make a wonderful addition to any garden. 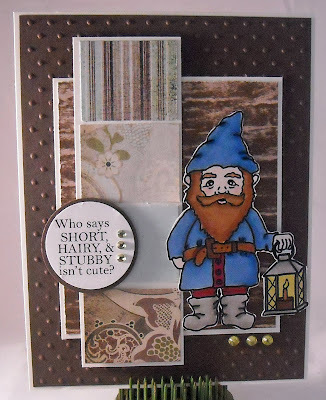 :-) Today's image is another adorable one from Sweet 'n Sassy called Nathaniel Gnome. Isn't it fun that he has a name? 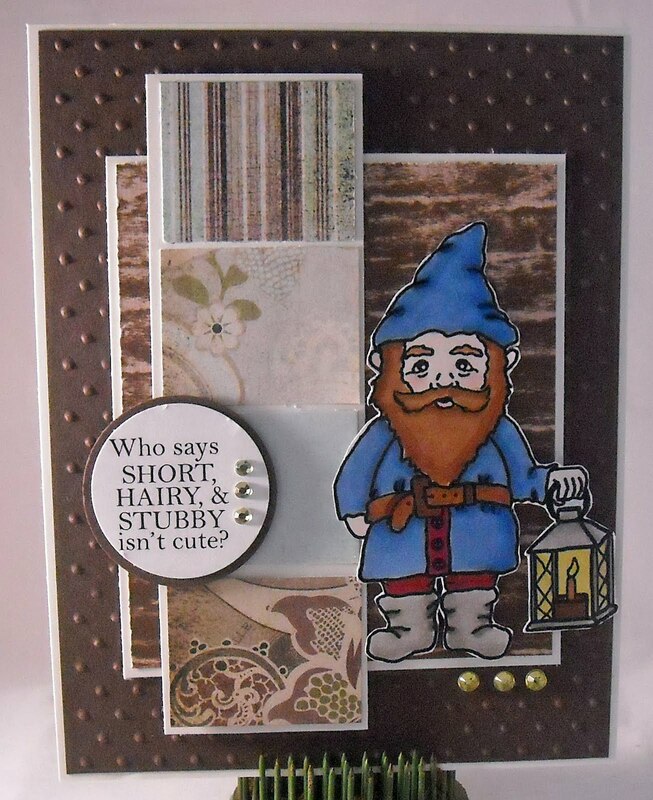 And Nathaniel has been paired with sentiments from the Gnome Sentiments set, which includes five cute sayings for just $3.00. My sketch is from last week's Mojo Monday challenge...One I meant to enter but never got around to posting! I hate when I do that! The lovely papers that I used are a brand new line from Basic Gray along with a random wood grain scrap that I've had in my stash for ages. The Basic Gray paper is actually a wedding themed line but the colors worked great with my nature themed card. Nathaniel has been colored with Copics and a few rhinestones (don't all gnomes like a little bling?) have been added as a finishing touch! Enjoy! The winner of Deedee's Digis Blog Hop is... Jeri said... "Love the flowers in the cup. I especially like your coloring them in purple and your papers you picked to go with the image." Jeri, please email Deedee at amiste@sonic.net to claim your prize. Thank you to everyone for a great blog hop!! 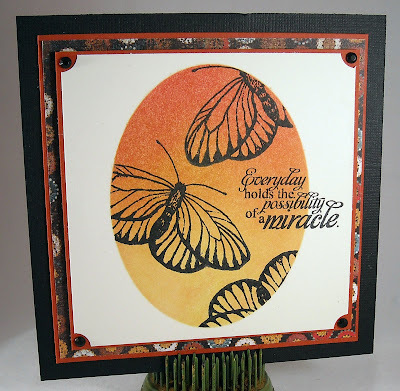 Today's Tip: Try your hand at emboss resist for a dramatic background! 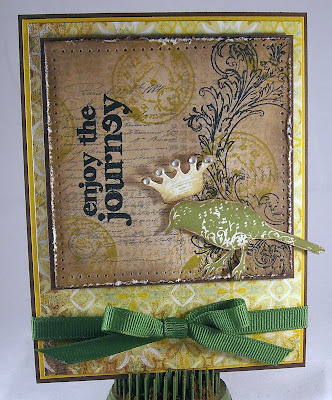 This is a card I'll be teaching at a beginner embossing class this week at Wholly Scrap. 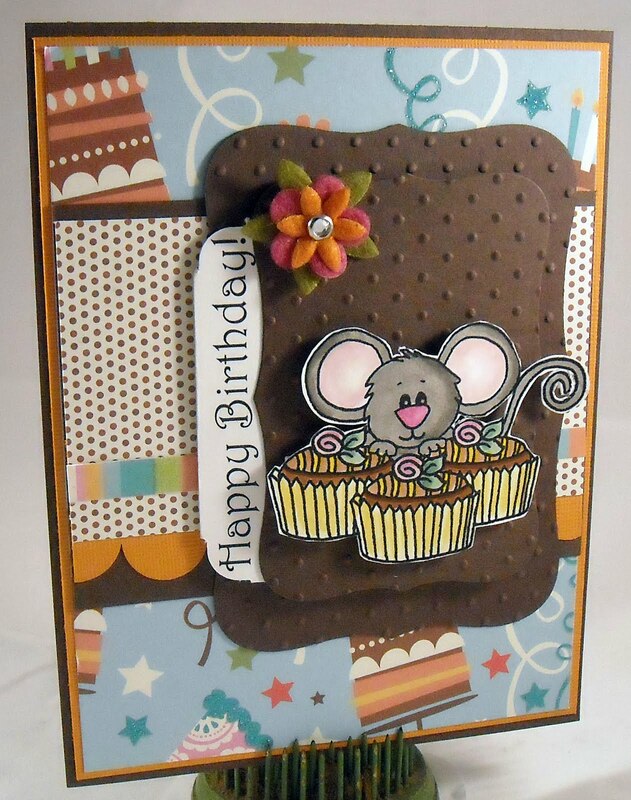 The card is 4.25" x 4.25" and the main background image started out as a plain piece of white cardstock. I used VersaMark to stamp these images, from a new Tim Holtz stamp release, onto the white cardstock. I then embossed the images with white embossing powder. Once the embossing was dry, I used a blending tool and sponged Crushed Olive Distress Ink over the entire surface. I used Walnut Stain Distress Ink on the edges. All that was left to do was to add a sentiment, also embossed in white, and a Martha Stewart punched butterfly. Easy peasy!! Enjoy! 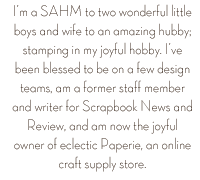 Welcome to the Grand Opening Blog Hop for our dear friend and fellow Sweet 'n Sassy design team member, Deedee Anderson!! You may or may not know that Deedee has been a contributing artist for Sweet 'n Sassy for some time now. However, Deedee's husband has recently been hit with an extended unemployment, due to current economic conditions, and our stamping sister has decided that to help support her family she would start her own digi store!! Yeah!! We're so excited for Deedee!! 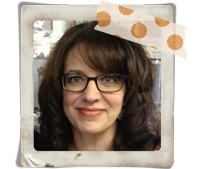 Please help the Sweet 'n Sassy Stamps Design Team send her off in style today with a blog hop celebration of the opening of her store, "Deedee's Digis!" You'll find fun, creative inspiration at each stop, along with several chances to win freebies from Deedee's new store. Here are the rules and prizes... PRIZES: 1. 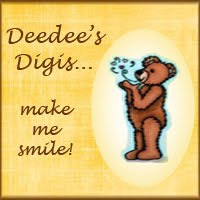 Visit Deedee's store here and leave me a comment with the name of which digi you'd like to win. You get to pick any one you'd like!! 2. You have until Sunday evening (5/16) to post a comment on my blog. 3. I'll draw a random winner on Monday morning and will post the winner here on my blog. 4. Increase your chance of winning by leaving comments on each of the participants blogs (listed below). 5. Make it to the last stop on the blog hop, the new crafting blog, leave a comment and you could win the grand prize of a $20 gift certificate to the store 6. 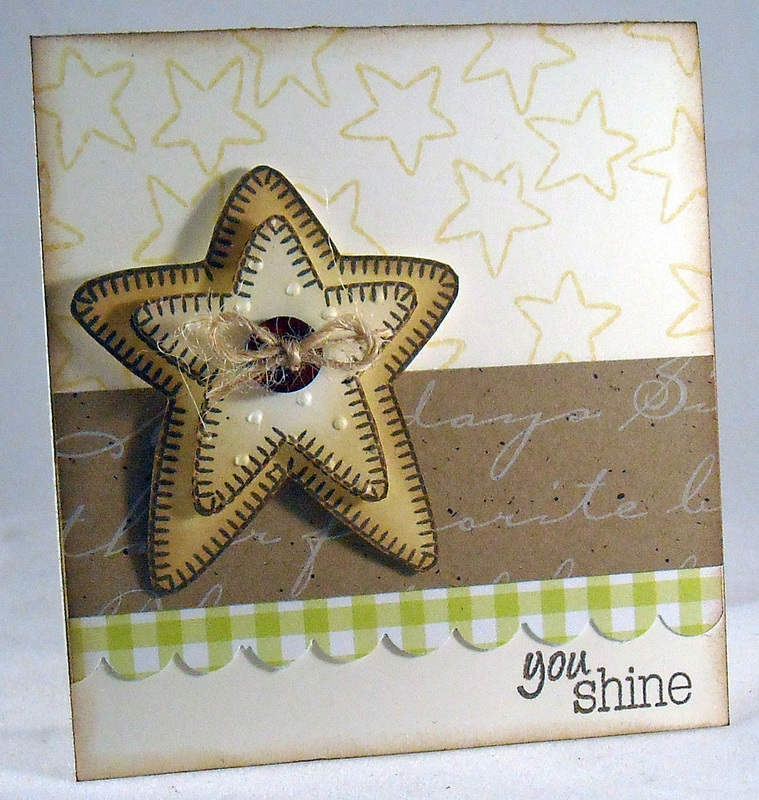 There will also be a freebie digi on the crafting blog for you to download. Here's the list of Blog Hop participants...Have fun!! Ceal Darsie Janette Kim (that's me!) Korin Leah Lisa Lorie Micki Nancy Nicole Sandy Tricia Crafting With Deedee's Digis For my card...I used this adorable image from Deedee called, Cup of Joy, and this set contains the sweet tea cup filled with flowers and four sentiments for only $3.00! I paired my image with some lovely Basic Gray paper (from Wholly Scrap). The layout is from this week's Mojo Monday sketch challenge site. Enjoy the hop!! It's time for another SALT challenge and this week it was Tanis' turn and she chose an excellent Scripture reference from Matthew 6, "But seek first the kingdom of God and His righteousness, and all these things shall be added to you." My study Bible had this to say on verse 33, "We are to make God's sovereign rule, and a right relationship with Him, the highest priority in life." The thing that sticks in my mind is "and a right relationship with Him" because putting God first has been weighing heavily on my mind and heart lately. Do I really put Him first? Life can be particularly busy for Moms, who not only care for children but also care for the home and meals, may have a job or may homeschool or manage school related activities, etc. To say that most Moms have a lack of time is an understatement! I don't say this as a way of complaint, for I am very, very thankful for my children, husband, and home life, but the truth is since having children my devotional time has suffered. It's not uncommon for me to have a "just let me finish this Lord" attitude when I feel that tug of "you haven't spent time with Me today" in my heart. Our relationship with God is much like our relationships with a spouse or children. If you ignored either, wouldn't the relationship suffer? How much more does our closeness with Christ suffer if we continue to put other things in our life before Him? He is so much more important than a few extra minutes of sleep, a clean kitchen, a vacuumed floor, or a completed craft project and yet it can be too easy to silence that nagging feeling in our conscience assuming those things will bring us satisfaction. God has promised His children all the blessings that He has to offer (most importantly eternal life) if we would but put Him first...Spend those first few minutes in the morning in communion with Him, take time during the day to ask for strength in weak moments, seek His face for forgiveness when you've sinned, thank Him for the many blessings you receive each and every day. For in doing so we would be lifted up in the midst of trials, joyful in the completion of mundane tasks, strengthened to do what is right, and focused on the Savior, which is the key to deep and lasting happiness in this life. (This is such a perfect thing for me to be reminded of today...oh how God works in mysterious ways!!) Please stop by the SALT blog to see the other beautiful creations posted by our design team. And if you're inspired by this week's challenge, please leave us a comment! As for my creation...I once again channeled my new BFF Tim (do you think he knows we're so close?) 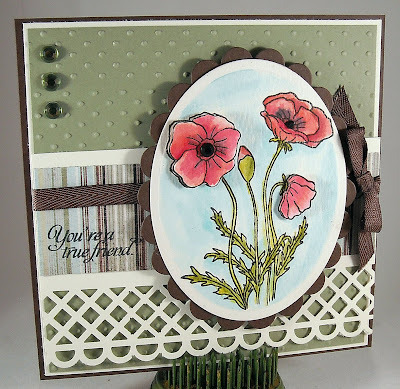 to make another vintage ATC. The background is from one of Tim's new 12x12 paper "Lost and Found" paper stash. Isn't that amazing? I did nothing to the paper, it came out of the pack all grungy...how divine! 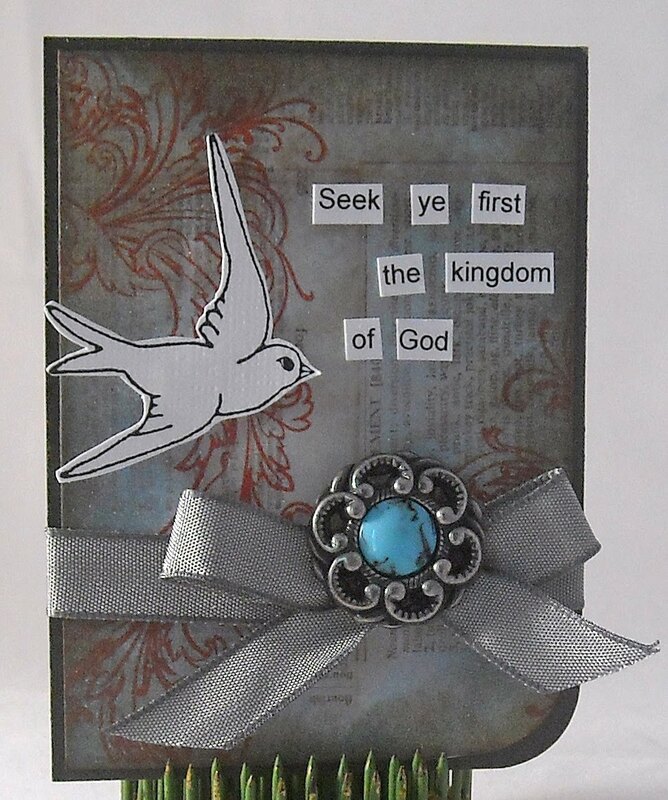 I simply added a few swirls, from one of Tim's new sets (Shabby French), and a bird, verse, and ribbon. That oh so fabulous button is also from Tim...See, Tim and I, we're close like that... Enjoy! Greetings all! 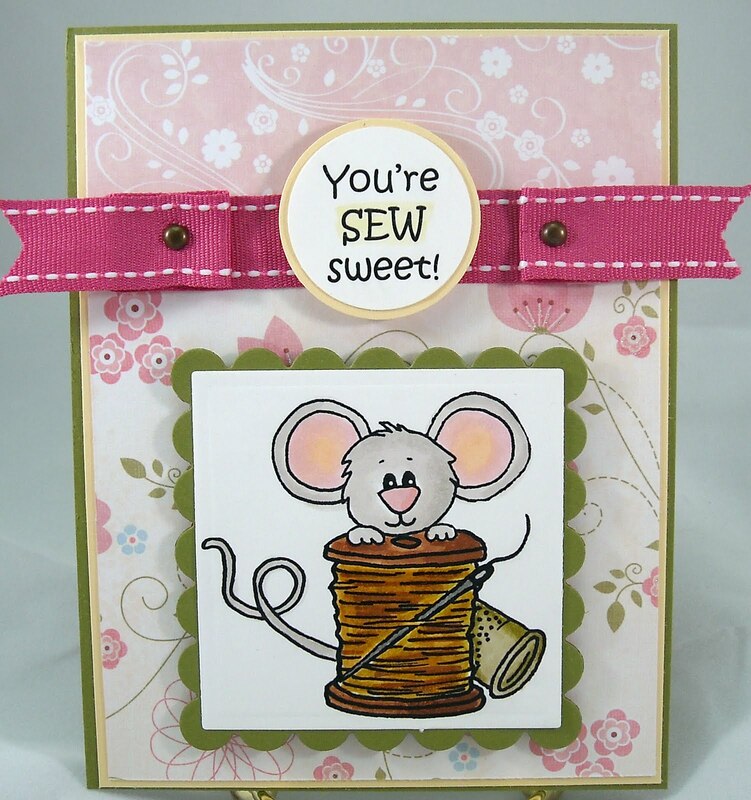 Today's card featuring this darling image from Sweet 'n Sassy stamps, called Berry Sweet Cocoa, isn't he (or is Cocoa a she?) adorable? This card is posted over on the SNSS digi blog today and you can check out all of the details on that site. I'd also like to mention that this month Erika Martin and Tanis Geisbrecht are the guest designers on the SNSS digi blog...They've already posted some great stuff...check it out!! PS - And a huge thank you to those of you who do comment and read...I really do appreciate your responses, even though it's been really quiet lately...is anyone still out there?? LOL! Greetings all! I'm passing on a Keep it Simple card today in honor of Mother's Day! Wishing everyone out there who is a Mom a very happy day! 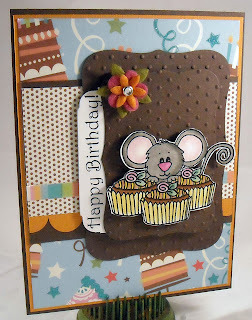 My card features a beautiful image drawn by Deedee Anderson, who designs for Sweet 'n Sassy stamps. This week Deedee will be sharing an exciting annoucement...check back on Friday for those details! The bottom of my card base has been embossed with an embossing folder, the top was left plain. The DP is a sweet design from Basic Gray (purchased at Wholly Scrap). The ribbon is from Papertreyink, as is the button and twine. The image was colored with Copic markers and the butterfly has been cut out and popped up with foam tape. Enjoy!! I have a class coming up next week at Wholly Scrap, where I'll demo three techniques; collage stamping, cracked glass, and crayon resist. 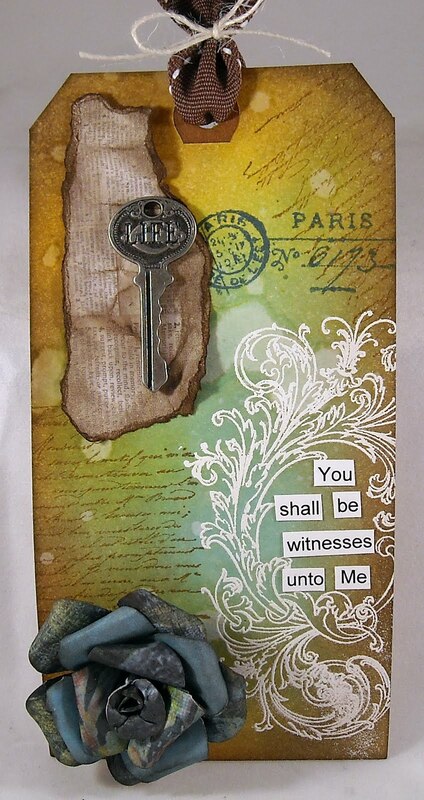 This is my collage sample, using oodles of brand spanking new Tim Holtz (I love you Tim!!) stamp sets. :-) I used a bunch of different images on cream cardstock, layering by starting with a light ink color and ending with the black swirl. I then used distress ink to age up the entire piece and roughed up the edges with a distress tool. Then I pierced the edges...goodness, I really roughed up my paper! I added the sentiment off to the left after stamping and cutting out the bird and crown. A few rhinestones have been added to the crown for a little bling. That fab paper in the background is a new line from Basic Gray. 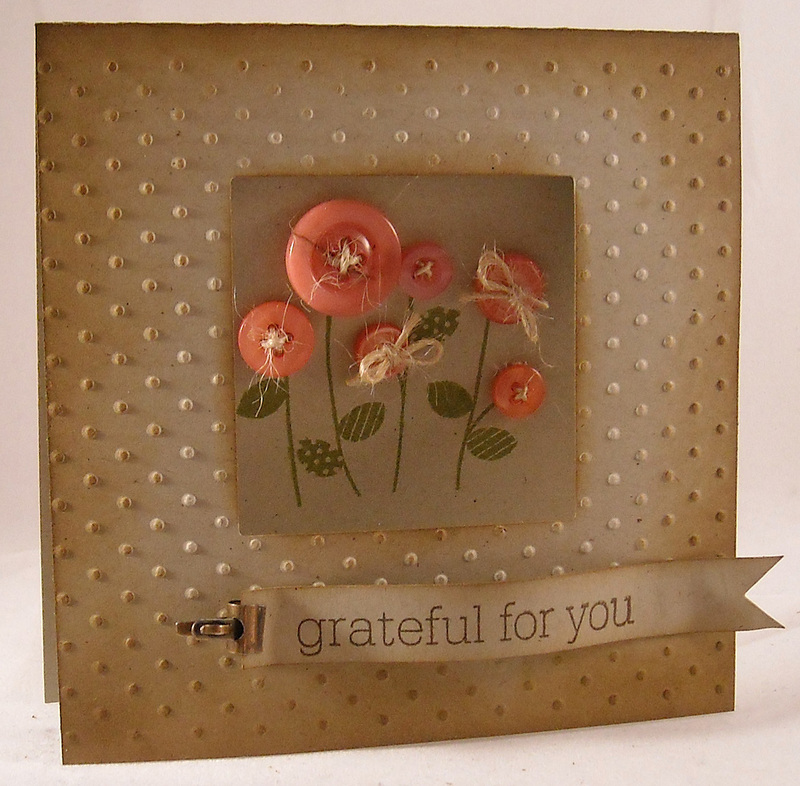 All supplies for this card are from Wholly Scrap. 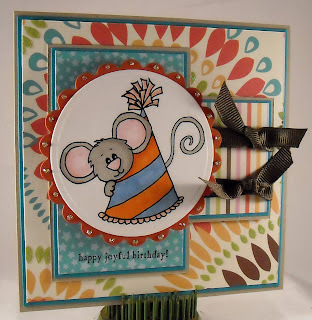 A few other notes....Today is digi day over on the Sweet 'n Sassy Paper Craft and SNR pages. 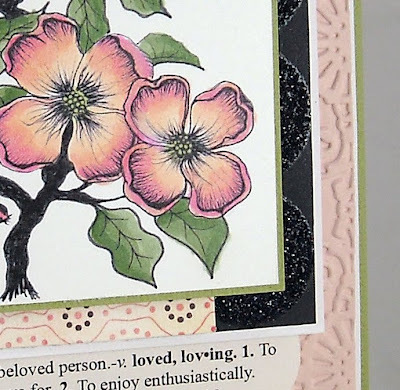 If you create a card with today's challenge, using lace, you could win free digi images! And I have a devotional posted over on the SALT blog today...check it out...excellent stuff by Spurgeon! Enjoy! I found out last night that my good friend Julie is one of the guest designers for this week's CAS Challenge over on Splitcoast. Well how could I not participate! 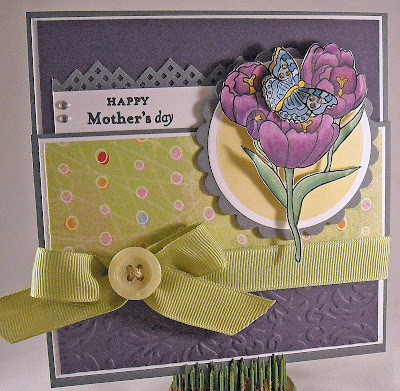 The challenge was Mother's Day or May Flowers and I decided to combine the two and great a Mother's Day card with flowers! :-) Flower stamp, sentiment, and buttons are from Papertreyink. Punched the square in the center of the card was created with a Nestabilities die. The flower image was stamped on the inside of the card; outside was embossed with the Swiss Dot embossing folder. Edges of my cardstock were aged with a blending tool and distress ink because all kraft cardstock needs a little bit of distress ink on the edges... Enjoy!! Here I sit, sipping my jug of coffee and checking out all of the lovely creations that were posted on other blogs over the weekend, as well as reading some wonderful posts by non-crafty bloggers (two of them just had babies so I love to read about how things are going and seeing the photos of the wee ones) when I realized I had yet to post to my own blog! It might take a few more sips of coffee before my eyes start to fully open and my brain to begin functioning... Today I'm sharing a sweet wedding bells digi image, aptly named Wedding Bells, from Sweet 'n Sassy, along with a sentiment from the Wedding Sentiments set, which contains eight wedding-themed sentiments for only $3.50. My layout is from this week's Sweet Stop sketch challenge. 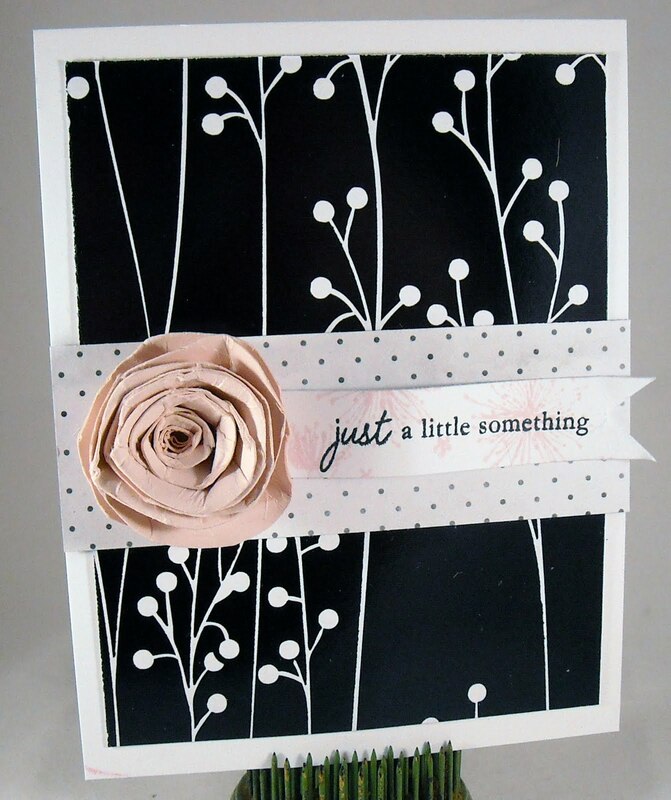 These lovely black and white papers are from a new Imaginisce line, purchased at Wholly Scrap. (I'll be using these papers in a class next month!) I added just a hint of a pale yellow to help connect the color of my bells with the black and white. The image has been colored with Copics. Stop by the Sweet Stop to check out all of the other wonderful creations by the DT! Enjoy! A quick post tonight...For today's card I used this darling image and sentiment from Waltzingmouse Stamps, a set I picked up at the recent Stamping Around event. The name of this set is Sewing Box - Hugs and is chock full of the most adorable stamps!! As a matter of fact, the entire Waltzingmouse online store is full of adorable stamps! (Note to self...go shopping...) My star image, which has been stamped on cream cardstock and then aged and colored with Distress Inks, is paired with a sweet piece of script kraft DP and a sweet gingham DP from Jillibean Soup. The button and twine are from Papertreyink. Enjoy and head over to Waltzingmouse...they have some amazing products! !